Is a Justin Bieber meltdown in the works? That’s what both fans and critics can’t help but wonder. There’s a new report that says the chart topper’s bizarre behavior is getting worse, and this time around he’s targeting his fans during his on stage performances. Justin Bieber’s behavior has been making headlines for months now, as the ‘Sorry’ hit maker’s antics are definitely a serious cause for concern. He’s not only been seen walking barefoot through a park in Boston, but also sharing photos on social media that many are labeling as a silent cry for help. Even though Justin Bieber’s career seems to be at its peak, with plenty of radio hits this year, including, “What Do You Mean?” and “Love Yourself,” it seems like the former child star just can’t handle the pressure of being the world’s biggest pop star in the industry right now. Justin Bieber went off on an overzealous fan after she threw a hat on his stage during his concert at the Boardwalk Hall Arena in Atlantic City, New Jersey this past weekend. Considering how much money some people fork up to buy Justin Bieber concert tickets, there’s no doubt that the female fan was left humiliated if not totally heartbroken over his on stage rant. Justin Bieber could have simply ignored the hat and kept pontificating his deep thoughts without chastising a fan who probably made a lot of sacrifices to see him in the flesh. Still, many critics seem to believe that Justin Bieber’s career might end up in crisis mode if he doesn’t get the help he needs before it’s too late. That, or a much needed break from the celebrity spotlight. What do you think, CDL readers? 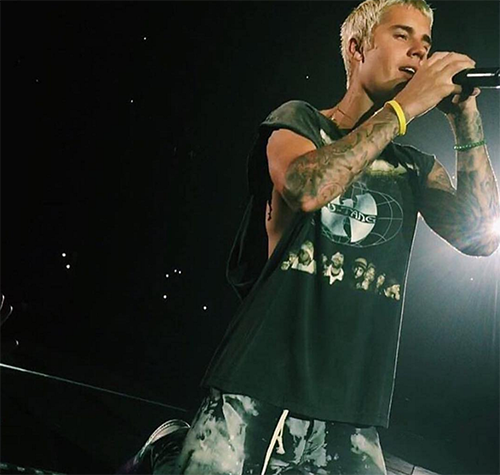 Is Justin Bieber’s recent and bizarre behavior a sign that he’s mentally breaking down? Drop us a line with your thoughts! Justin Bieber and Kourtney Kardashian Sleeping Together: Taking Relationship to Next Level?